When Lauren is hungry, everyone is keenly aware that Lauren is hungry. She makes sure of it! Yesterday, it was around mealtime and Lauren made her intentions known that she wanted to eat, and if dinner wasn’t ready, she at least wanted a snack. This one-year-old was on my heels as I scurried around the kitchen finishing up our meal. Whining gave way to crying, which turned into an outright fit when she realized I wasn’t going to yield. Finally, after offering her a sippy of milk and being refused, I grabbed the nearest toy to give, hoping to pacify her temporarily so that dinner could be completed and peace restored. “Sure…she likes that toy, what’s the problem?” I retorted. 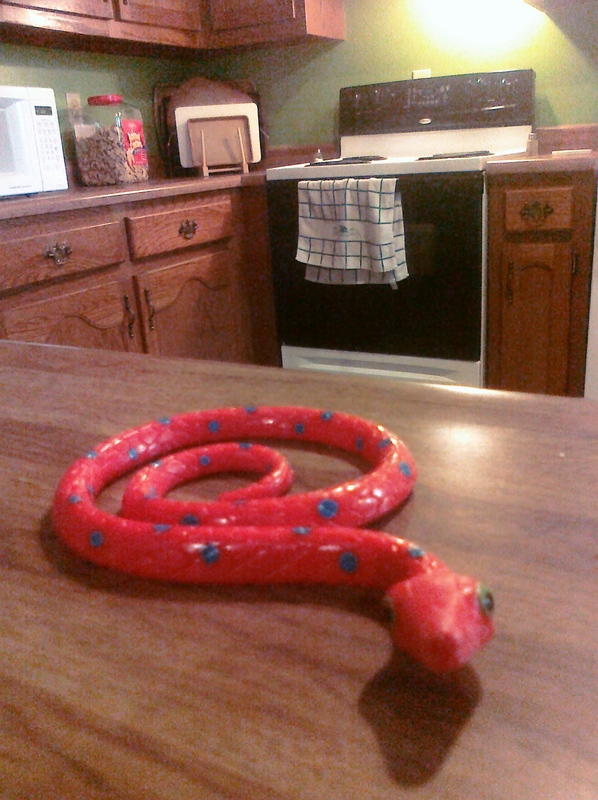 You see, I had handed Lauren a toy snake when she was asking for a snack.